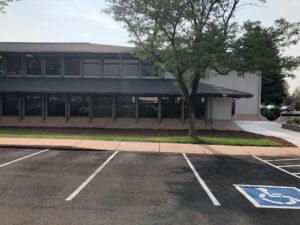 Josh Newell, principal and Kevin Calame, principal at Pinnacle Real Estate Advisors, LLC, announced the sale of 3655 S Pennsylvania Street in Englewood. 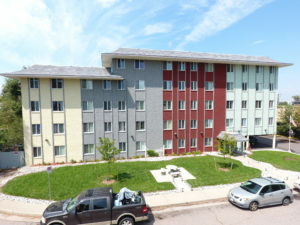 The 38-unit building sold on November 7 with a contract price of $5.1 million ($134,211 per unit and $257.90 per square foot). Kevin Calame, with the Calame Lewallen Team, represented the seller and Josh Newell, of the Newell Team, represented the buyer. “Sellers felt this was a great opportunity to achieve a good sales price in this market and moving that money into a more passive NNN retail deal,” stated Calame. “This acquisition completed the buyer’s 1031 exchange and fit perfectly into his portfolio. Shady Brook is in great condition and had respectable in-place rents,” said Newell. NavPoint Real Estate Group announced it has completed the sale of an office condo at 5420 S Quebec St. Units 204 in Greenwood Village. The property is 4,957 square feet and sold for $966,615 in October to purchaser Colorado Aesthetic and Plastic Surgery PC. Eric Gold of Sheldon-Gold Realty Inc. represented the buyer. The seller was Timberline Professional Center, LLC. Charlie Davis of NavPoint Real Estate Group represented the seller. 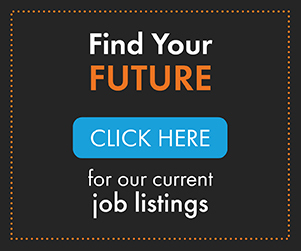 Timberline Professional Center is located in the desirable Landmark area with easy access to I-25 from S Quebec St and Belleview Ave. Timberline Professional Center is an office condo project and has received strong interest from medical users, accountants, and attorneys. The building was purchased earlier this year and has gone through a complete renovation, in order to create a “Class A” professional building. Broadstone LLC purchased 1160 E 18th Ave and 1780 Marion St. across from St. Joseph’s Hospital in Uptown Denver for $7.85 million. The two parcels of land have been sold for development as apartment communities. The seller of 1160 E 18th Ave was “Childrens Hospital Colo” and the seller of 1780 Marion St. was Mile High Montessori Early Learning Centers. According to plans submitted by Alliance Residential, Broadstone Uptown at 1780 N Marion St. will have 120 units and a fitness center. Broadstone Uptown West at 1160 E 18th Ave. will have 134 units, a pool and a fitness center. The LeClaire Group of Marcus & Millichap (NYSE: MMI) announced the sale of Kangaroo II Self-Storage, a 75,325-square-foot storage facility located in Loveland. Charles “Chico” LeClaire, executive managing director investments and Adam Schlosser, first vice president investments, in Marcus & Millichap’s Denver office, had the exclusive listing to market the property on behalf of the seller, a local private LLC. 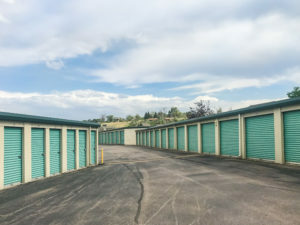 “We continue to experience high demand for cash flowing self storage facilities along the front range,” says Schlosser. “New supply is beginning to affect values in certain areas but the broader market as a whole is still performing well.” The buyer was an investment fund from the east coast. So far this year, The LeClaire Group has sold 40 self-storage properties. Northern Colorado continues to be one of the fastest growing areas in the state and is predicted to double in population by 2050. 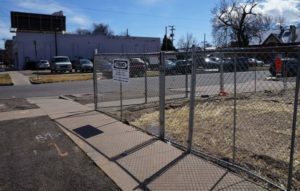 Just a mile north of the property, downtown Loveland is undergoing a revitalization with a new development under construction called The Foundry. The development spans three city blocks and will offer 155 luxury apartments, restaurant space, a 102-room hotel, movie theater and a central community plaza scheduled to be completed in early 2019. Another $500 million large-scale development called The Brands at The Ranch is currently in the works in northeast Loveland. The mixed-use project will bring another 2.6 million square feet of commercial space and approximately 1,200 multi-family units to the area. Holliday Fenoglio Fowler, L.P. (HFF) announced financing totaling $800.45 million for a 23-property multifamily portfolio consisting of 7,289 units across eight states. The HFF team worked exclusively on behalf of Starlight Investments, a Toronto, Canada-based real estate investment and asset manager, and its closed-end fund, Starlight U.S. Multi-Family (No. 5) Core Fund (TSXV: STUS.A / STUS.U). The loan was originated as a Freddie Mac Structured Pool Transaction with five, six and seven-year loan terms and included both fixed- and floating-rate components. 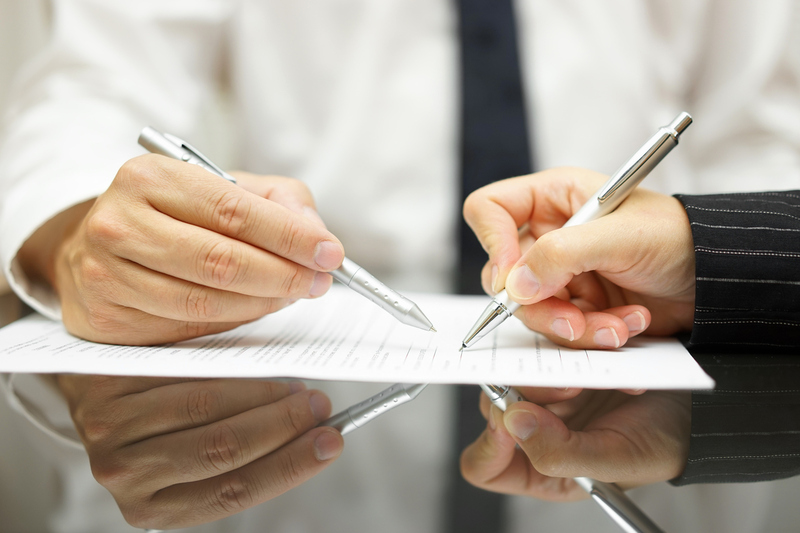 Additionally, the loan allowed ultimate flexibility with collateral release provisions and varying prepayment windows. This transaction also took advantage of Freddie Mac’s index lock program, allowing the sponsor to lock the underlying rate several months prior to closing. Freddie Mac’s Structured Pool Transactions target large, single-sponsor portfolios and provide enhanced structuring to meet the borrower’s specific needs. The master note, which is secured by the cross-collateralized pool of 23 properties owned by Starlight U.S Multi-Family (No. 5) Core Fund, will be serviced by HFF, a Freddie Mac Multifamily Approved Seller/Servicer. The 23 Class A properties are located in the Atlanta, Austin, Charlotte, Dallas, Denver, Houston, Las Vegas, Nashville, Orlando, Phoenix, Raleigh, San Antonio and Tampa markets. The average year of construction for the portfolio is 2012, and the properties boast an average occupancy of 93 percent overall. Nearly half of the units (47.5 percent) were financed under Freddie Mac’s Green Advantage program, which help finance energy- and water-saving improvements that help lower operating costs for buildings, keep utility costs low and protect the environment. The HFF debt placement team representing the borrower included senior managing director Matt Kafka, managing director Campbell Roche and analysts Matthew Williamson, Tolu Akindele and Wilson Bauer. According to Denver county public records, a 301-unit apartment in Denver’s RiNo called the Marq sold for $90.617 million. The complex was sold from CWS Capital Partners to Waterford RiNo LLC. Amenities include a pool, fitness center and clubhouse. Unique Properties and the Lippitt/Shwayder Team announced the sale of 363 S Harlan St. in Lakewood. The property is a 2-story office building built in 1980, consisting of 104 parking spaces (4,19/1,000 square feet). The building has been well-maintained by the previous owner and provides a great opportunity for the new owner to continue the lease-up and capitalize off a consistent yield on the property. Unique Properties and the Lippitt/Shwayder Team announced the sale of 919 S Sherman St. in Longmont. The piece of land is 44,437 square feet and only minutes away from downtown Longmont.  The land is zoned for mixed industrial use and provides easy access to Ken Pratt and I-25. With population growth in a 3-mile radius being a steady 7.15% over the last 8 years, this area is primed for future development. Unique Properties and the Lippitt/Shwayder Team announced the sale of 1003 E Eisenhower Blvd in Loveland. The property is a car wash built in 2008 consisting of three self-serve bays and two automatic bays. Right off Highway 34 the building is not only in prime location but is in great working condition as well. The property serves as an excellent owner/user or redevelopment opportunity for new ownership. Unique Properties, Inc. / TCN Worldwide announced the sale of 15485 W. 44th Avenue in Golden, CO for $833,000. The property consists of a 4,500 SF Freestanding Flex/Retail/Office building situated near the busy intersection of McIntyre and 44th Avenue. Executive Vice President Greg Knott and Senior Broker Associate Pete Foster represented the seller, G & J Bach Properties, LLC. Newmark Knight Frank Multifamily announced the sale of Woodland Creek Townhomes in Boulder. The property, located at 3701 Paseo Del Prado, sold for $21 million ($512,195 per unit or $425.16 per square foot). It was sold to an undisclosed, California-based buyer. The property is located directly off of the Wonderland Creek Bikeway.